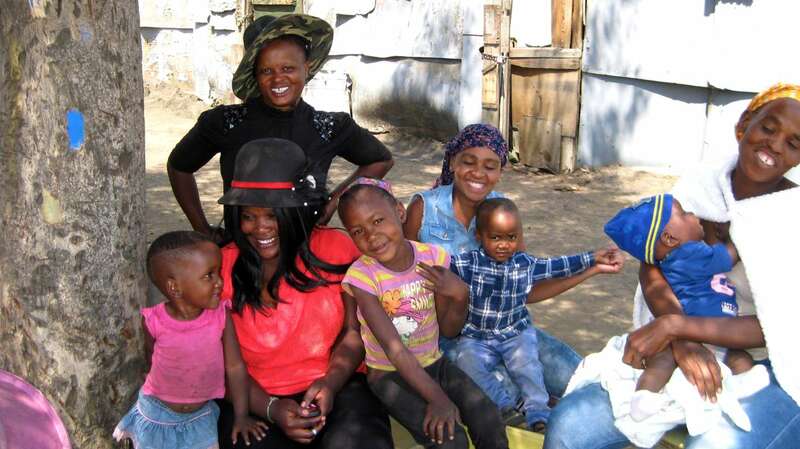 Zingela Ulwazi Director, Stella Horgan, and Volunteer, Becky Harmon, recently visited a 25 year-old informal settlement named Coronation, in a town called eMalahleni. eMalahleni was recently identified by Greenpeace as having the dirtiest air quality in the world. There are 12 coal-powered plants in the area and coal is the industry here. People are sick and life is bleak. About two years ago in her previous job, Stella, while on a “Toxic Tour” of the area, met two men who started a preschool and community center in the heart of Coronation. Coronation literally sits on top of a coalmine storage area. 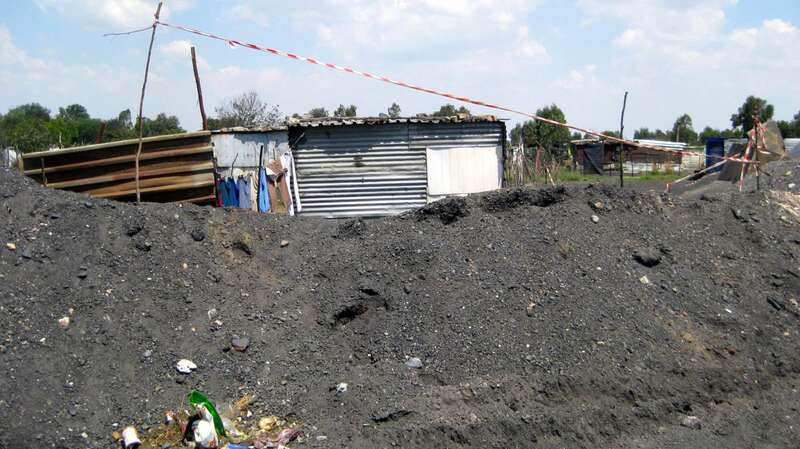 The shacks are on top of the coal mounds–11,000 households in all. Everything is black— coal dust covering the dirt roads, the rooftops, the walls. There is nowhere in Coronation for children to play. The community is rife with drugs. Children are preyed upon. 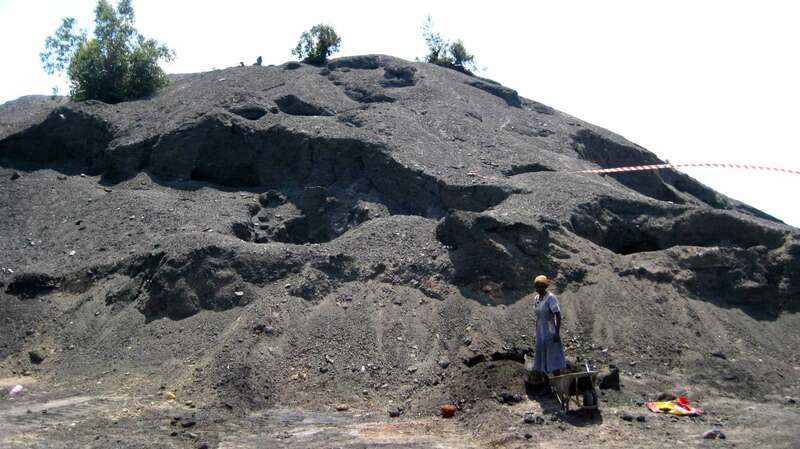 Women sift through the coal mounds looking for any usable pieces they can cook with. It is apocalyptic. 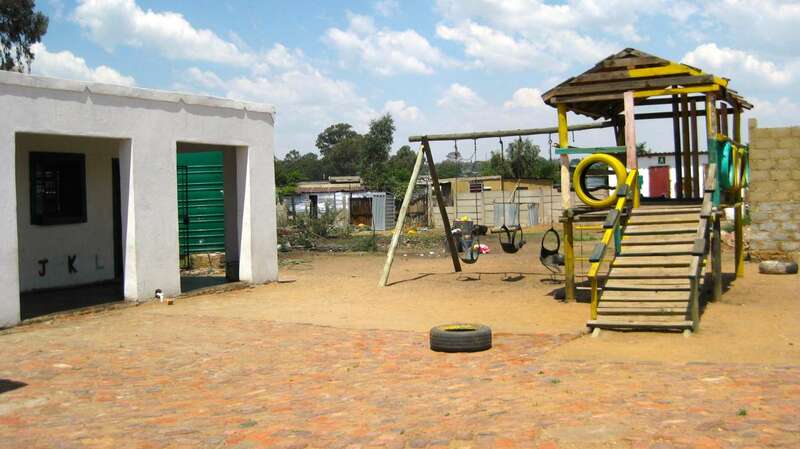 Mr. Kgwete and a lovely younger man, Rafael Mlangeni decided they must provide a safe place for at least some of the young children in the community. 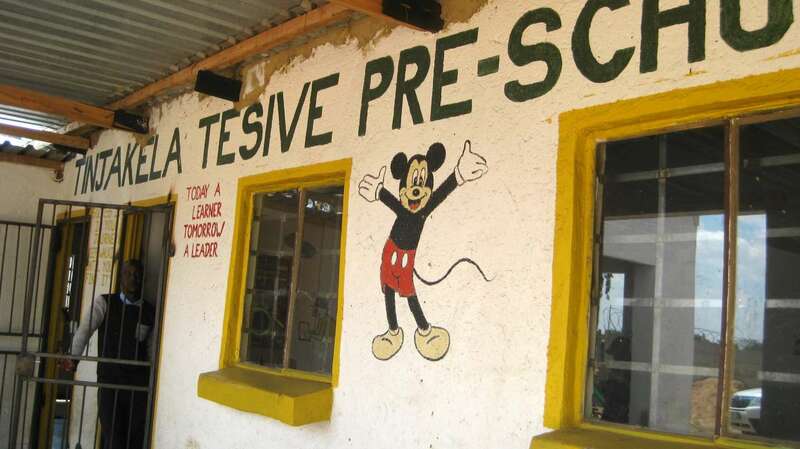 So they started the Tunjakela Tesive Pre-School. They have 50 young children who come for school every day. It also serves as a community center. The Center had flush toilets installed that hooked up to the sewer in town. They built a nice toilet building. The Municipality was recently doing some work in the area and cut the sewer line. So they cannot use their toilets. They must have toilets to retain their status as a school. But they had no idea how long it would take the Municipality to repair the sewer. Corruption is rampant in the local government. They didn’t have the money to put in pit toilets so they dug a hole about a foot deep and put some tin up around it. But it was not a toilet in any sense of the word, just a hole in the ground. 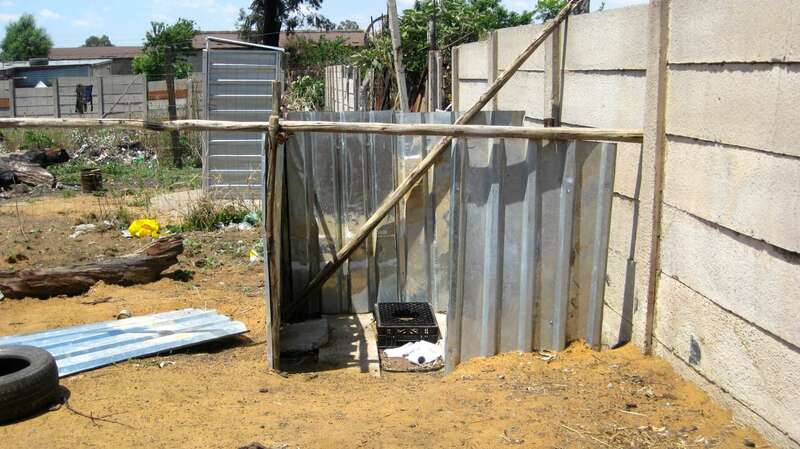 So Zingela Ulwazi, in partnership with a group of American donors, paid to have new pit toilets built at the School. They had to hire a man with a drilling machine because the area is very rocky and they have to drill through it to put in a proper long drop toilet. Once the holes were drilled, the guys built it themselves to save money. We have never seen such poverty, such devastation, such desperation anywhere. Our brothers and sisters should not be living like that. 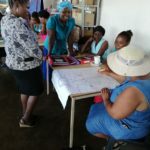 We felt that supporting Mr. Kgwete and Rafael in their efforts to try and save a few children, was a worthwhile investment. 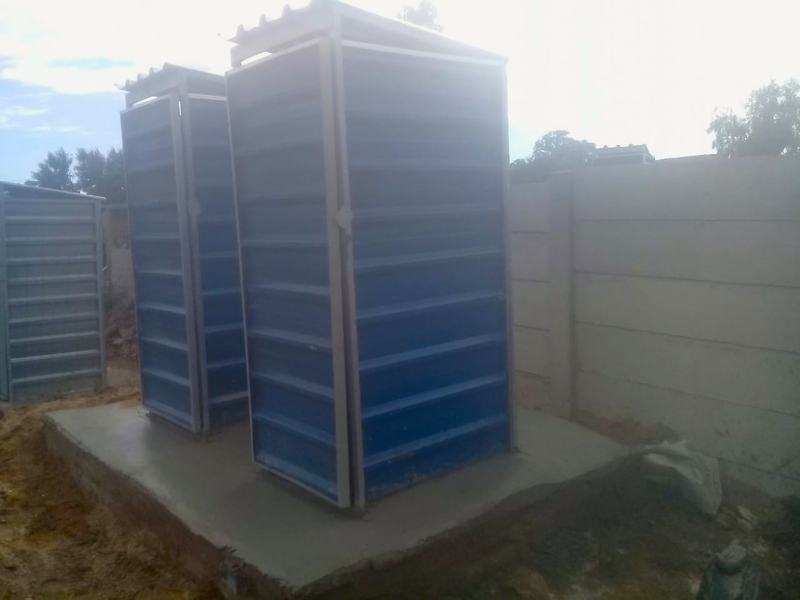 With the new toilets, the school will be able to remain open as a safe haven for the children in the community. Thank you to everyone who donated to make this possible.